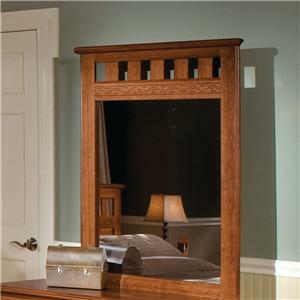 Sleek and simplistic in design, this dresser mirror adds functional readying space to the bedroom in your home. 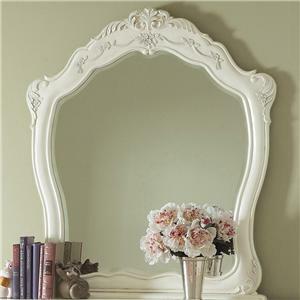 A clean rectangular frame with a reflective surface that adds the feeling of light and space to your bedroom, makes this mirror fashionable and fashionable. 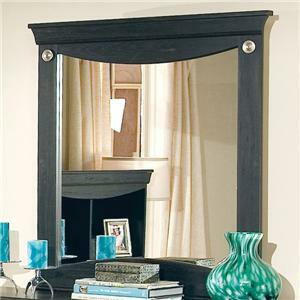 Pair this piece with the coordinating dresser in this collection to complete a classic furniture duo in your home. 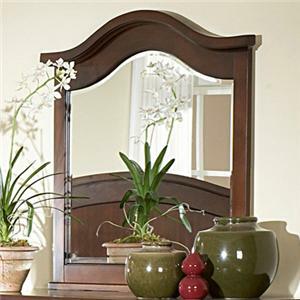 The Lewiston Dresser Mirror by Standard Furniture at Carolina Direct in the Greenville, Spartanburg, Anderson, Upstate, Simpsonville, Clemson, SC area. Product availability may vary. Contact us for the most current availability on this product. 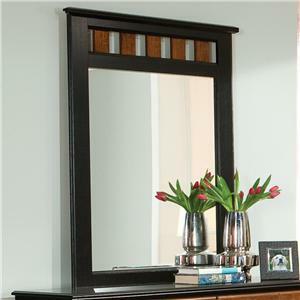 Finish & Paint Options Deep Brown finish. Handles & Hardware Bail and swag hardware in an antique metal color finish. 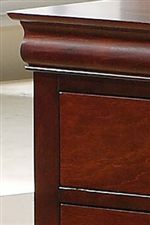 Case Detail Raised front base rails, and clean lines with rounded and beveled topside moulding. Inspired by French classic Louis Philippe design furniture, the Lewiston collection offers grand silhouettes, subtle curvatures, and an overall striking design. Constructed of quality veneers over wood products and select wood solids throughout, this grouping is thorough and well built. French dovetail construction on the drawers in this group, as well as roller side drawer guides, outfitted with bail and swag hardware in an antique metal color finish, the details of this grouping make this collection sleek and smart in design. 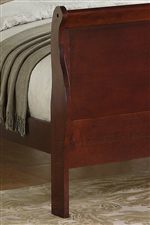 Outfitted in a Deep Brown finish the Lewiston collection is a cleanly designed and lasting addition to the bedroom in your home. The Lewiston collection is a great option if you are looking for Traditional furniture in the Greenville, Spartanburg, Anderson, Upstate, Simpsonville, Clemson, SC area. 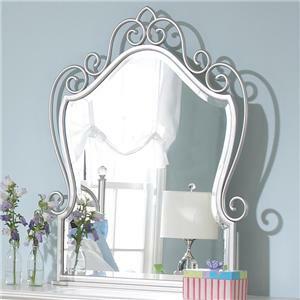 Browse other items in the Lewiston collection from Carolina Direct in the Greenville, Spartanburg, Anderson, Upstate, Simpsonville, Clemson, SC area.